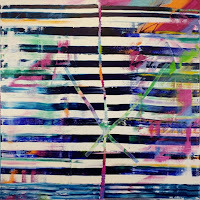 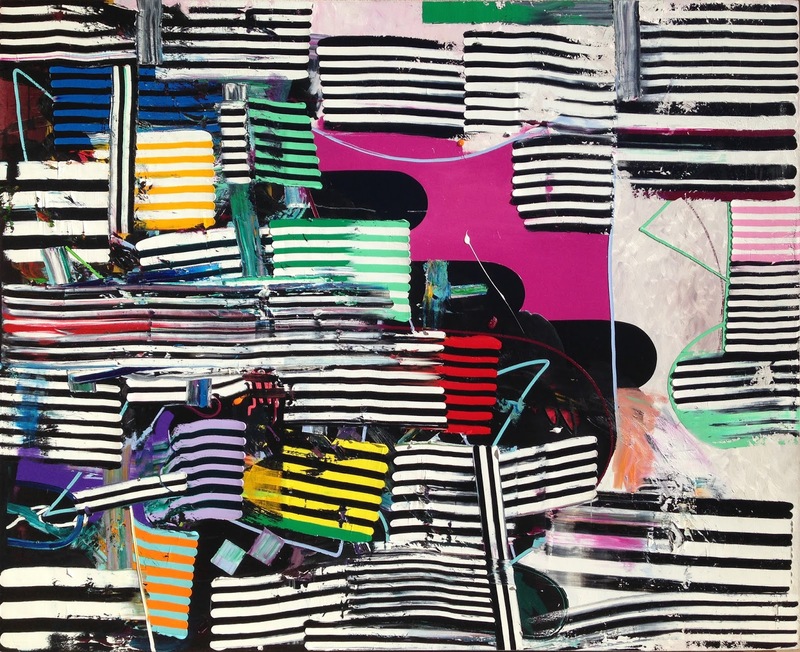 Another abstract artist to add to my list which so far has included: Paul Behnke, Eric Sall, Cordy Ryman, and Jason Karolak. 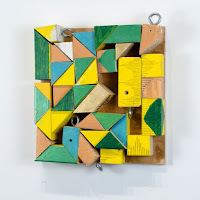 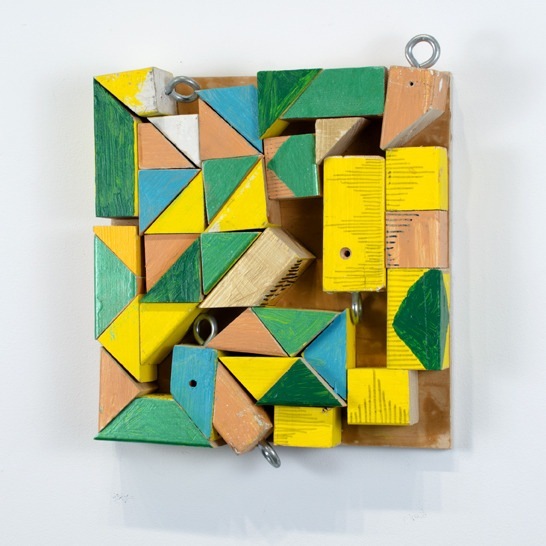 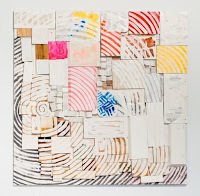 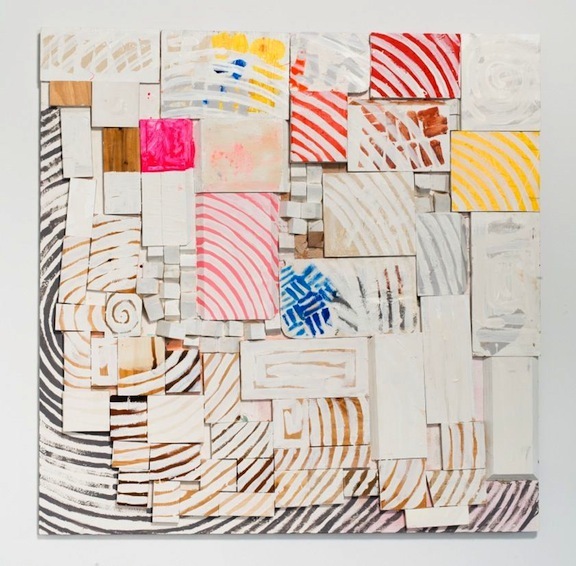 If this were a group show I'd also have to include Mary Heilmann, Jack Whitten and Thomas Nozkowski to round off a bit of the old and the new. 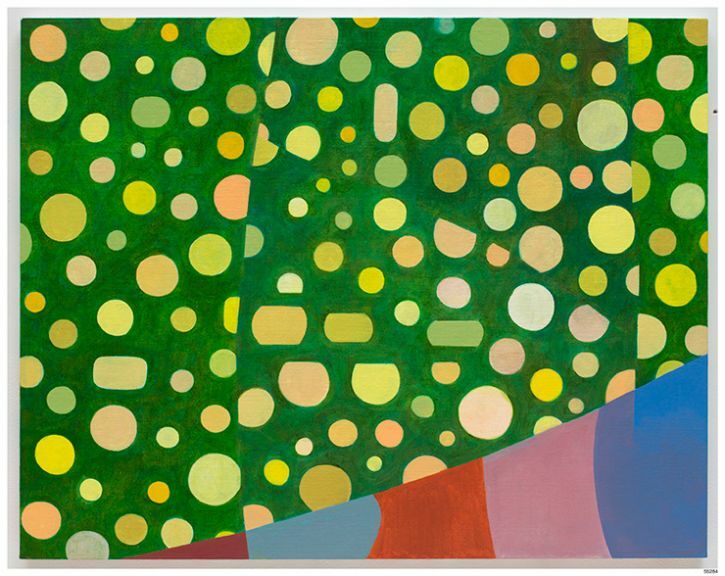 These are all paintings that I absolutely love but could never make myself, and I absolutely love them because I could never make them. 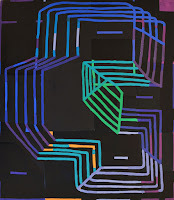 I don't do geometry. 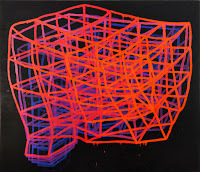 But what I love and find affinity with is the hand drawn human element, the imperfect geometry. 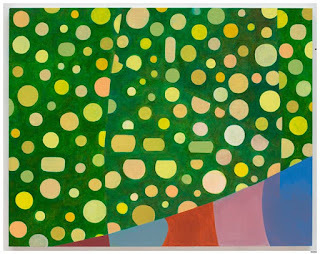 Not to mention the wonderful surface tension, color and line (of course). 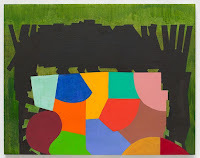 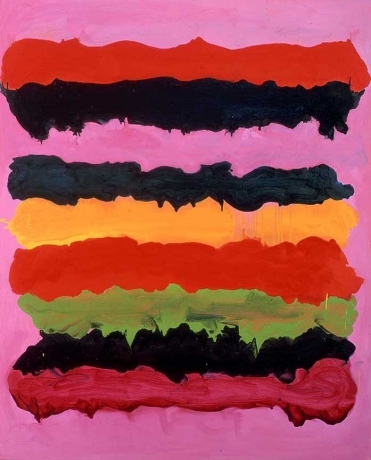 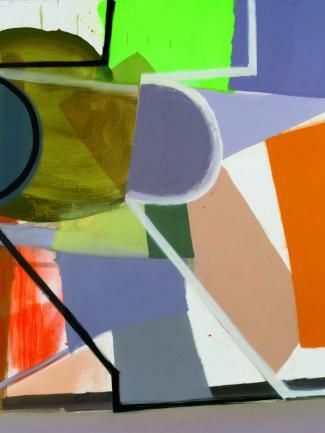 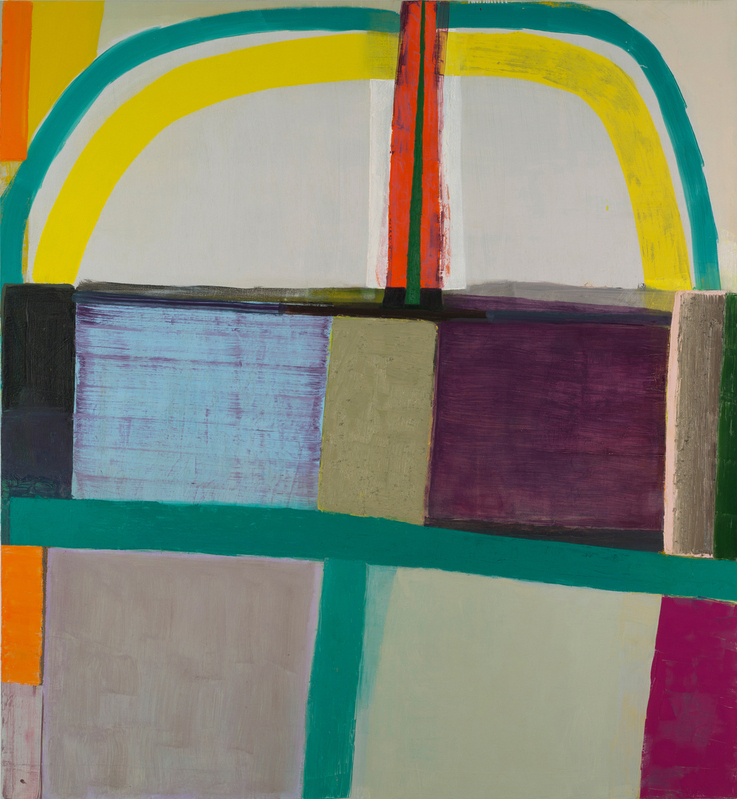 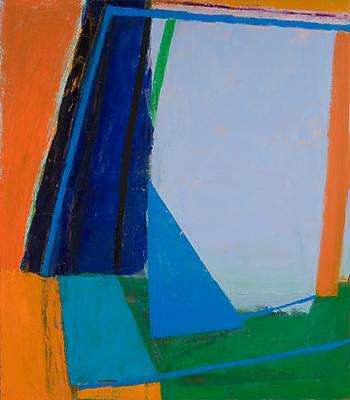 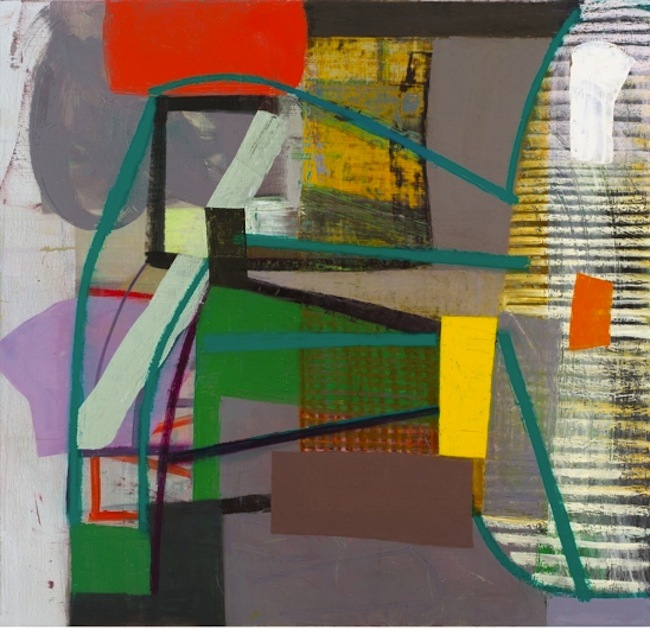 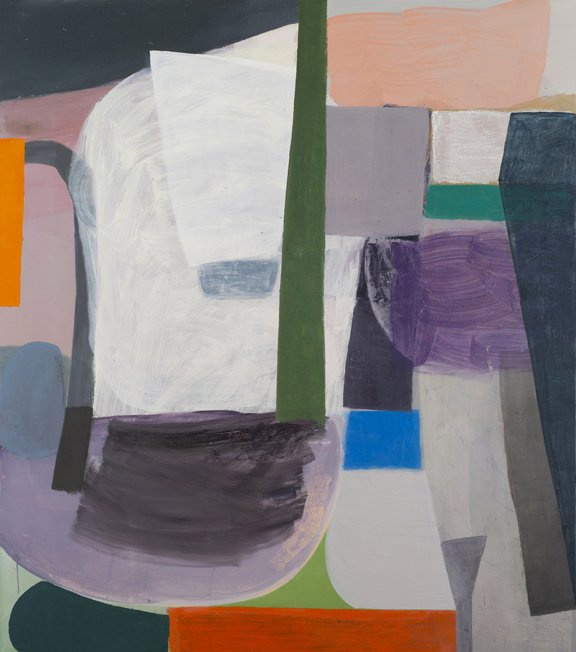 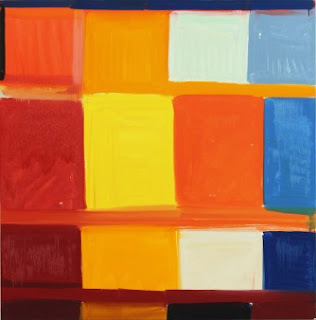 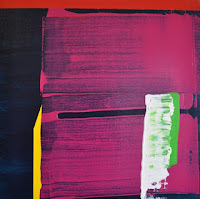 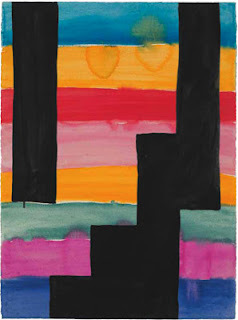 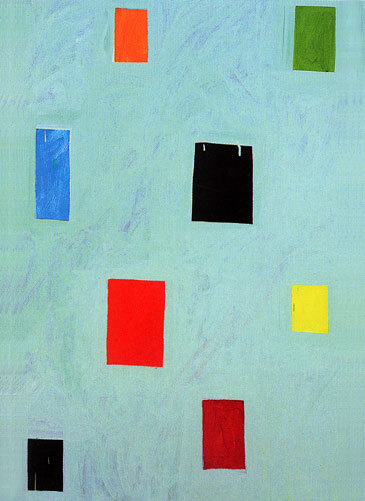 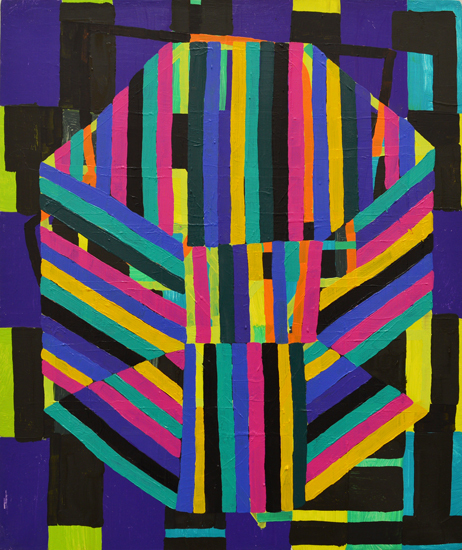 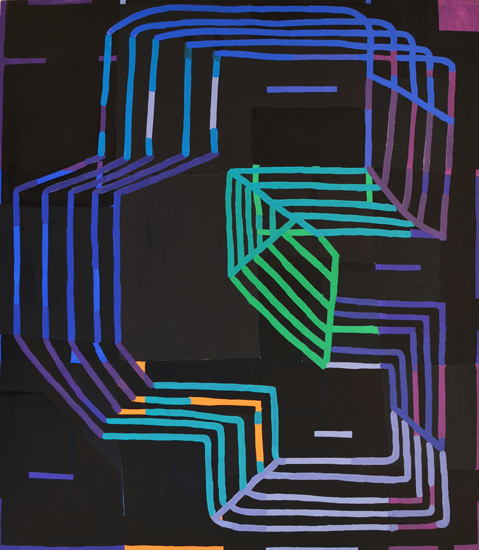 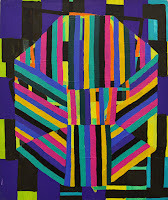 It's a juicy, vibrant combination, as Mary Heilmann puts it, of "Albers and deKooning in the same painting." Of all these artists, Amy Sillman clearly references the body more than the others, but that's also why I love her work so much. 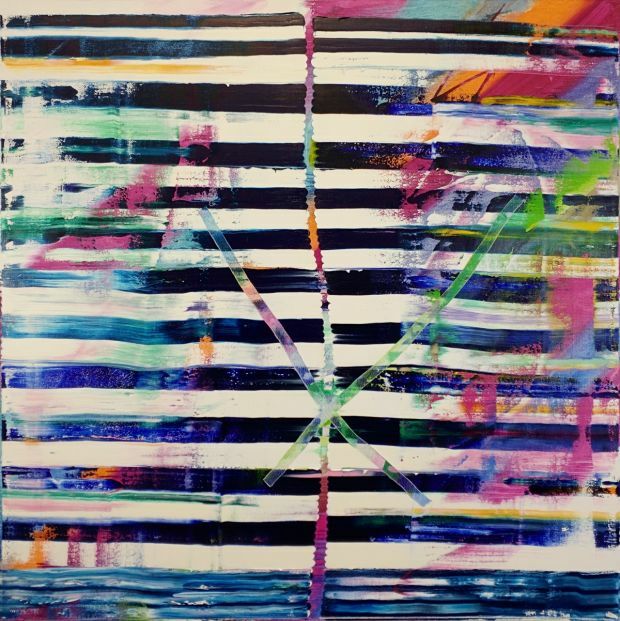 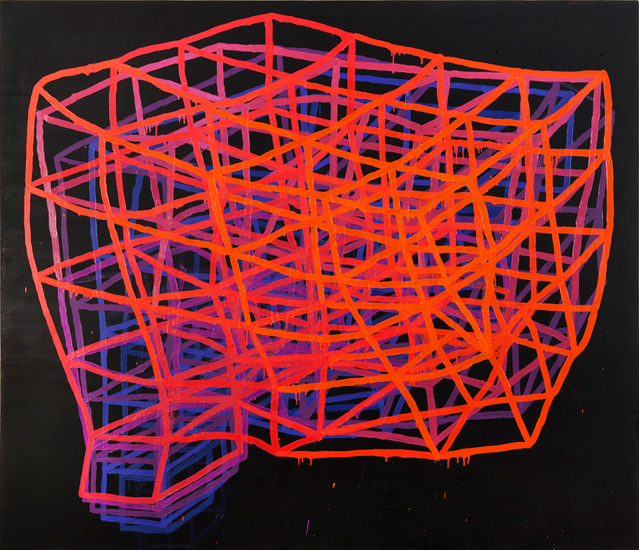 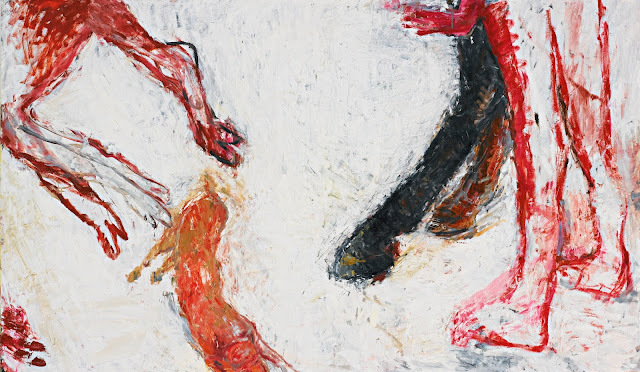 Her blatant gesture combines figuration and abstraction in all the right ways. 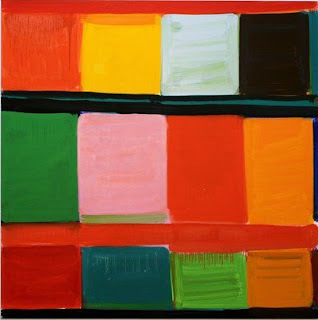 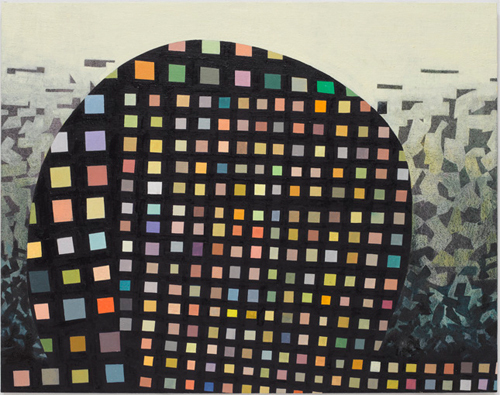 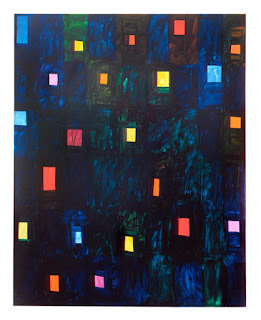 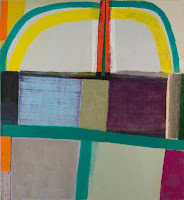 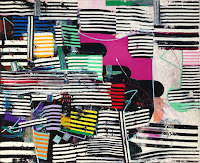 In certain pieces I can't help finding an affinity with (my first artist crush) painter Susan Rothenberg. 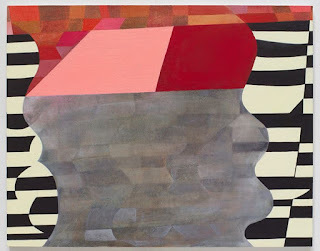 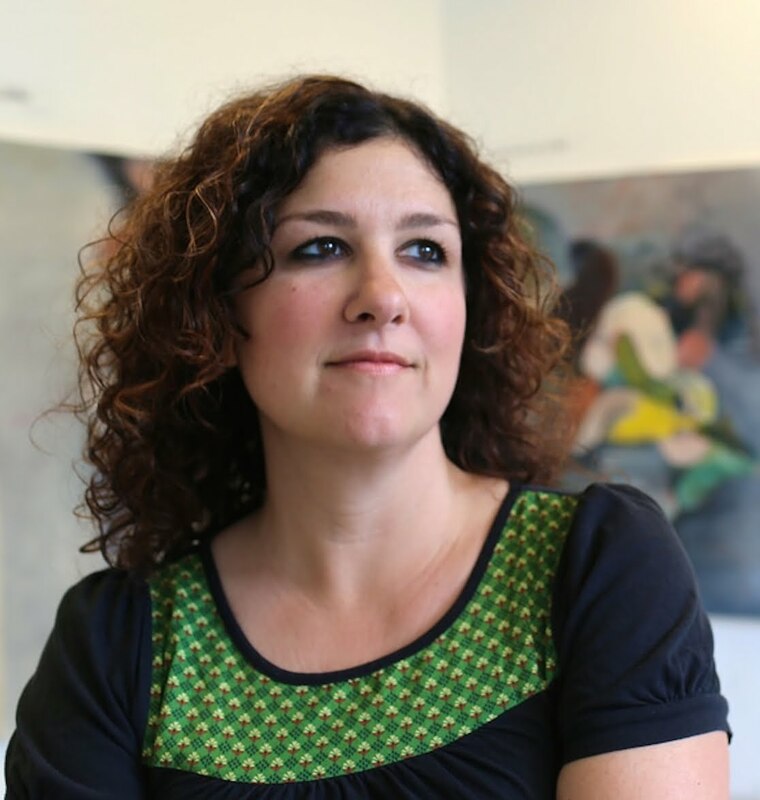 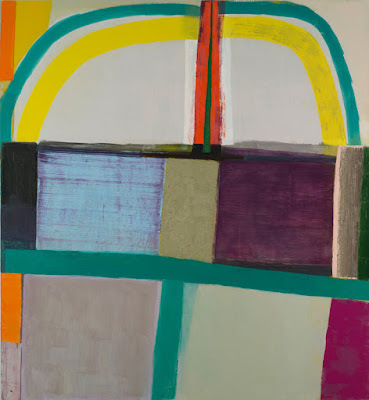 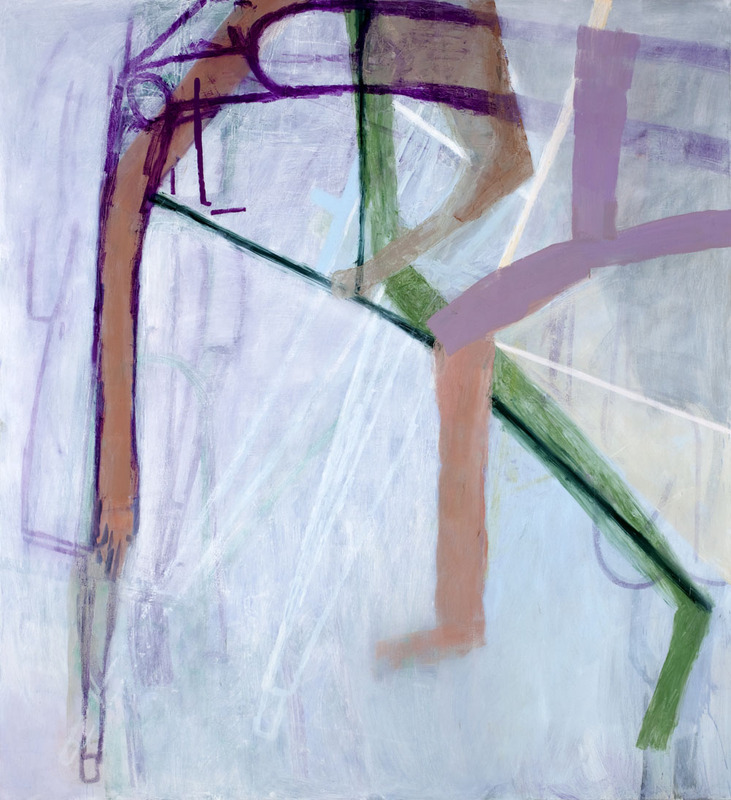 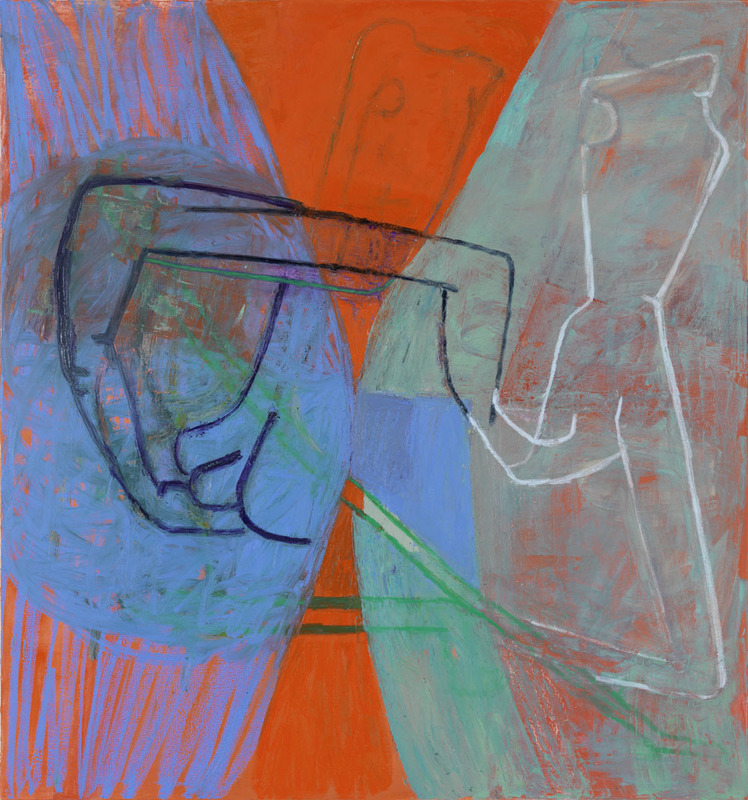 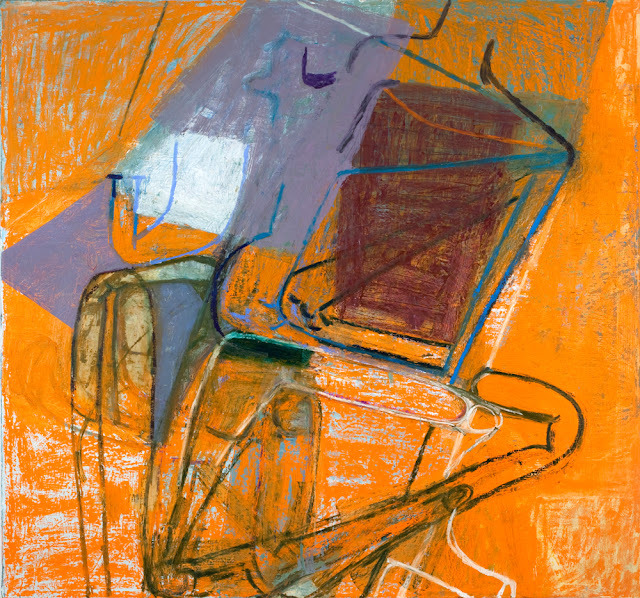 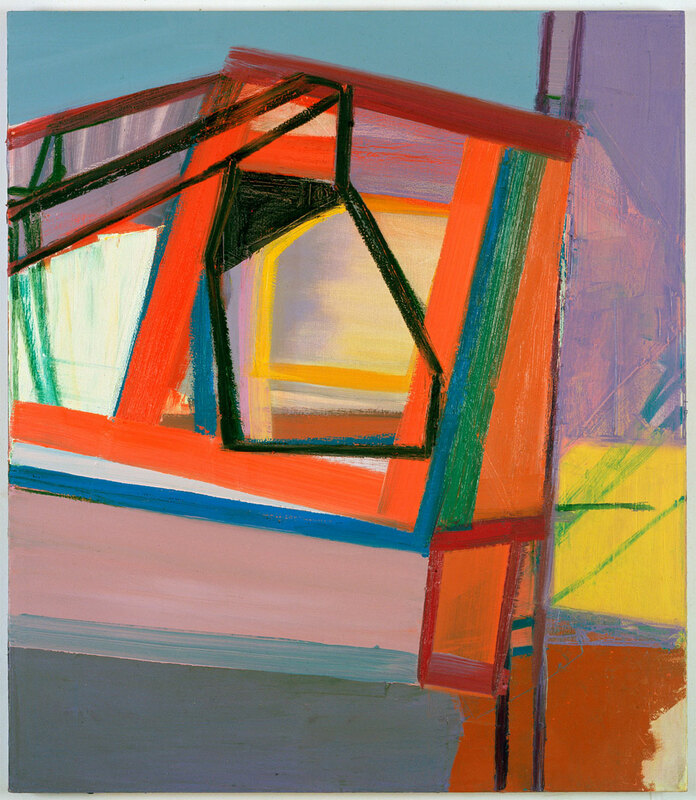 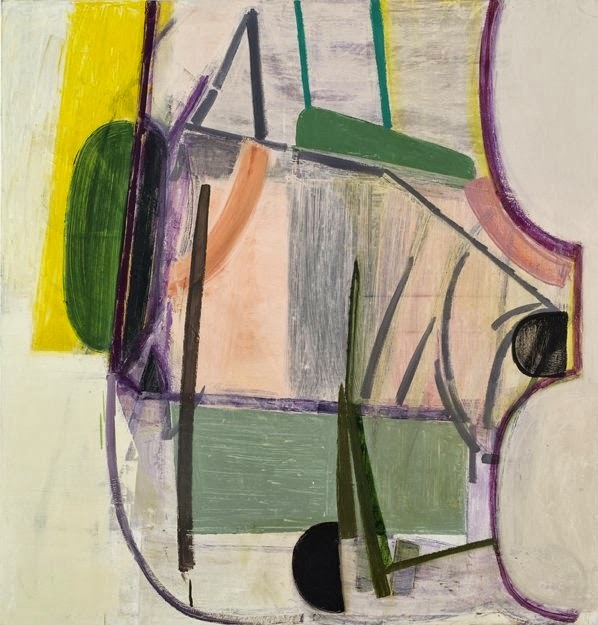 Here is a great interview in BOMB magazine between Amy Sillman and R.H Quaytman where she talks more about the human element in her work. 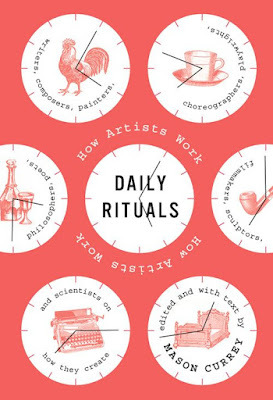 how often do you clean your studio?